Forgive your own deficiencies - sometimes your caring is sufficient. Help them to understand - kindly, softly, gently. The Children are our hope - nurture them. Nature is our legacy - protect it. The Animals are our brethren - learn from them. 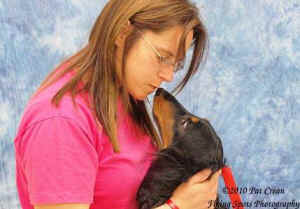 A former puppy mill stud dog and his Hero, the Indiana rescue volunteer who is teaching him the joys of Being a Dog.